Thank You for Visiting Us at ISNR! Thank you to everyone who stopped by to visit us at ISNR.We hope you learned a little bit about us and the online educational opportunities at the Biofeedback Foundation of Europe. We look forward to see you online soon! Here is part 3 of our recent interview with Francois Dupont in which he talks about his current work on several BFE teams and what is coming in the future. You have also collaborated on the creation of the BFE TBI Suite which is currently being developed. One philosophy of the BFE is to bring different people together to work on common project. The TBI (Traumatic Brain Injury) suite is one of these projects. Drs. John Davis and Robert McCarthy and I have met a number of times to start organizing information about instruments to assess TBI, resources for people who have suffered TBI and the type of EEG assessment needed for this condition. Traumatic brain injury is different from conditions like attention deficit disorder in the sense that with ADHD there are some typical configurations or presentations in terms of brainwave activity. Since traumatic brain injury is the result of an injury that can affect any part of the brain – there is nothing typical about it. For example, sometimes we see the brain of a person who was hit on the left side to be mostly affected on the right side because of what we call the contra-coup. The brain essentially moved from one side of the skull to the other side during the accident. For this reason, we need to do a more extensive assessment and in most cases we would recommend to do a full QEEG with 19 channels. We are exploring what would be the best type of training screens to adjust easily to this unfortunate condition. I know there are suites for ADHD and Attention in the works. Can you tell me a bit about those? I am also currently working with Dr. Vincent Monastra and Dr. Joel Lubar on two suites for ADHD and Attention. These men were very happy to learn that for some years I have been using a scripted session that replicates the steps needed for their assessment of ADHD. As a team, we improved this software greatly. For instance, there is now an Excel report automatically created at the end of the assessment with graphs using the published norms of their famous Theta/Beta power ratio. This suite is the perfect example of the usefulness of the scripted session. The reason for this is that their ratio has been regularly misused in the field. For example, many people record the theta/beta ratio with eyes closed, which was never part of the actual protocol by Monastra, Lubar and their collaborators. This script function allows us to reproduce the exact conditions set by these pioneers in their published research. A person using the script will essentially reproduce exactly what Dr. Monastra and Lubar have done to create the norms for the theta/beta ratio. There is standardized text to be read by the client and the audio recording for the listening task is played automatically in the assessment script. Both are based on age group. 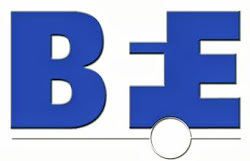 The BFE plans to create versions in many languages. What specific challenges do these topics provide? Dr. Monastra and I are working on different ways to present feedback for children who have attention problems. We are exploring new functions such as flash games that are appealing to a younger audience. With Dr. Monastra’s expertise in the field of attention, we hope to find ways to make the training faster and more efficient. Special thanks to Dr. Dupont for granting us the time for this interview and for all the work he has done in collaboration with several BFE-IREP teams. To stay up-to-date on new products available in our online shop, including software, classes, webinars and workshops feel free to join our mailing list. Click here to sign up.